If you are looking to buy or sell a property, freehold or leasehold, or to remortgage you will need to instruct a Solicitor to act for you who has extensive knowledge of what is a complex area of law . 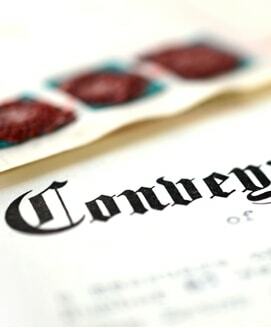 The meaning of covenants and easements which will ultimately affect your rights and your obligations must be fully explained and outlined to you and you can rest assured that you will receive such advice when you instruct Achillea & Co.
We offer competitive fixed fees so that you can be sure that in a normal transaction your outgoings for the process are set out at the beginning and you can safely budget for such expenditure knowing there will be no add ons. You are safe in the knowledge that your Solicitor will be both professional but also approachable and will lead you through the whole process and keep you informed of all developments as they happen. The firm has subscribed to all modern technology and is merely a phone call, a text or an email away and you can make an appointment to attend our offices whenever suited to your requirements. We are flexible and understand your needs.